A reporter recently asked us about relationships in the workplace. It has always been our firm belief that isolation is a formidable weapon for bullies except in the face of trusting, authentic work friendships. We recently reviewed cupping and other wellness therapies, but why bother with all that if you can just goof off with your work buddies? We tend to over complicate in our culture. All the wellness initiatives and brilliant relationship help from people like us tends to be irrelevant if you can just be part of a healthy team–hopefully one more qualified than the tug of war team above who lost in five seconds flat. 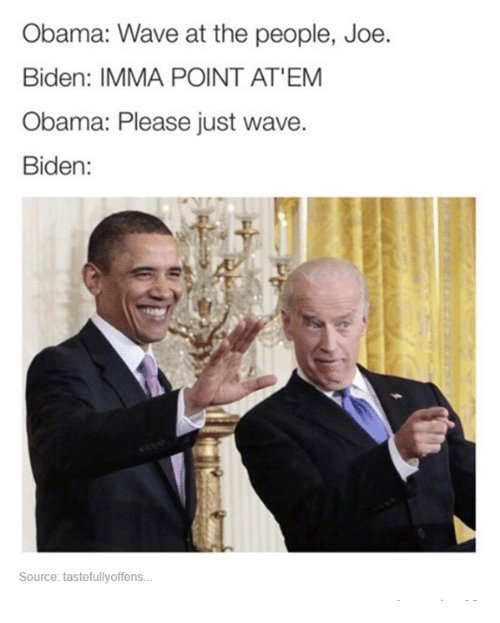 And that brings us to Obama and Biden. Unlike his two most recent predecessors, President Obama’s personality seems to draw strength from solitude instead of the presence of others. It would make sense for him to withdraw from the sincere but admittedly bumbling nature of his vice president. 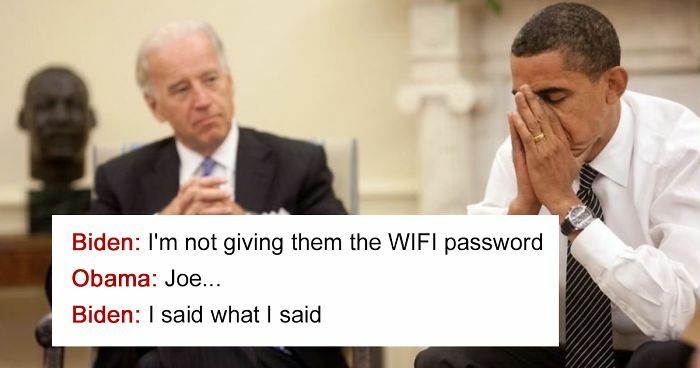 Whether or not we agree with their policies, we can clearly see that Obama and Biden decided to compliment each other’s traits rather than push for conformity–a looser President or more scripted VP. Realize that in the workplace, those who seem to share the least in common with you may become your greatest allies. We refuse to start spouting off “synergy” and other buzzwords, but success comes easier when employees are enjoying themselves. Lastly, the effects from a warm office friendship ripple past the two of you. 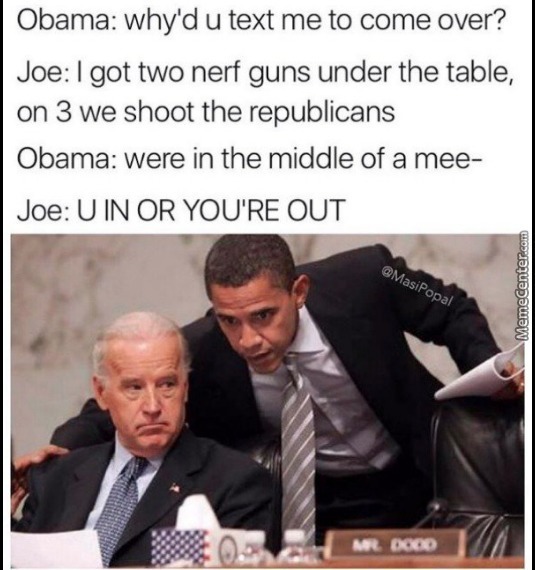 For proof, look no farther than the “Barry and Joe” memes that are still the best thing online.